The International Humanist and Ethical Union warmly welcomes the granting of a travel visa, after 6 years and several previous refusals, to Bangladeshi writer-in-exile Taslima Nasrin by the Government of India, and urges that all measures be taken by the police to ensure her safety while she is in the country. 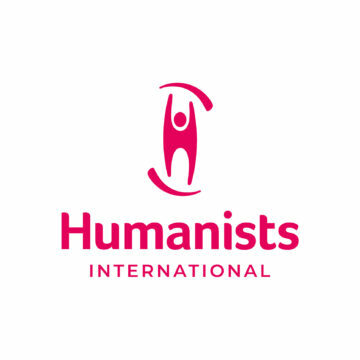 The International Humanist and Ethical Union is a federation of nearly one hundred Humanist, Rationalist, Secularist, Agnostic and Atheist organisations from 34 countries. The International Humanist and Ethical Union has NGO consultative status with the UN (New York, Geneva, Vienna), the Council of Europe (Strasbourg) and UNESCO (Paris). Taslima Nasrin is a valued International Representative of the International Humanist and Ethical Union at UNESCO and a Member of the prestigious International Academy of Humanism and a recipient of the European Union’s Award for her contribution to Human Rights. Taslima Nasrin has been a victim of religious intolerance and bigotry and has had to flee her native country Bangladesh; but it is hoped that she will have a warm welcome in India. Taslima Nasrin is presently in India on a private visit, during which she will meet with fellow humanists, rationalists and secularists for a week in Bombay and in Calcutta. In Bombay, Taslima will hold discussions with humanist colleagues in the Indian Radical Humanist Association (President: Dr. Indumati Parikh, laureate of the Jamnalal Bajaj Award for Social Work and fellow Laureate of the International Humanist Academy) and in Calcutta she will meet with Radical Humanist intellectuals like Prof. Sib Narayan Ray, (Chairman of the Raja Rammohan Roy Foundation) and Prof. Amlan Datta, (former Vice Chancellor of Shantiniketan). Taslima Nasrin is an ardent defender of the humanist values of freedom, rationalism, scientific temper, democracy, liberty of speech and freedom of belief. She has passionately defended the rights of women against religious bigotry and has advocated a very critical regard towards religion. As a prelude to her trip to India, in a statement, Taslima Nasrin thanked the government of India for granting her a visa and expressed her admiration for the “Secular Indian State whose Article 51 a (h) calls on every Indian citizen to develop the scientific spirit and work for humanism”. While expressing regret that politicised religion was gaining rapid ground in the country as was evident from the results of recent elections, Taslima expressed her solidarity with the Indian member groups of the International Humanist and Ethical Union namely the Indian Radical Humanist Association (Bombay), The Indian Secular Society (Bombay), the Indian Humanist Union (Delhi), the Indian Rationalist Association (Delhi), the Dravidar Kazhagam (Madras), the Rationalist Association of India (Hyderbad / Chirala) and the Bihar Buddhivadi Samaj (Patna), all of which are engaged in the struggle to protect Indian Democracy from being eroded by forces of religion and irrationalism. Like the International Humanist and Ethical Union that she represents, Taslima Nasrin is openly critical of religion – be it fundamentalist Islam, evangelising Christianity or resurgent Hinduism. It is worth recalling that it was because she defended the rights of the minority Hindus in Bangladesh or because she criticised the position of women in Islam that she was originally targetted by religious groups. The International Humanist and Ethical Union congratulates the Government of India on the granting of visa to Taslima Nasrin, and hopes that soon she will be able also to visit her native Bangladesh as well, without fear for her safety, and that her books and writings will soon be freely available to all the peoples in the subcontinent.